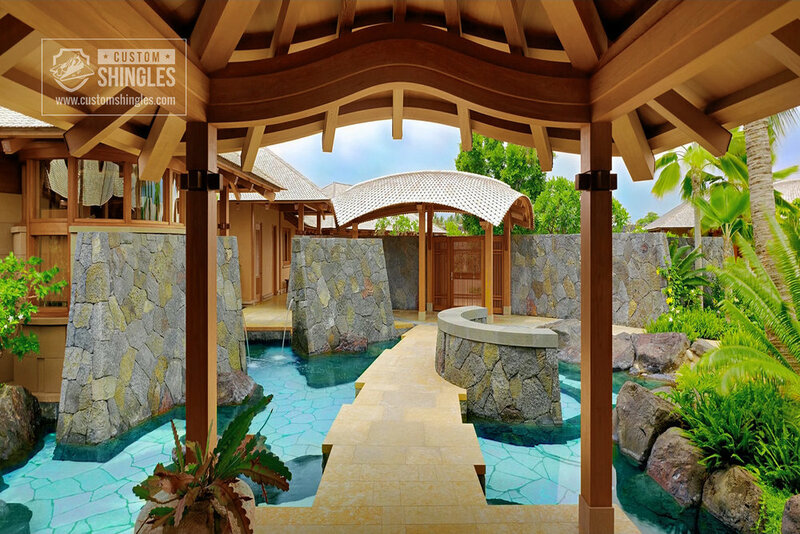 We used re-claimed teak, chamfered-edge shingles on a private residence in Kailua Kona, Hawaii. 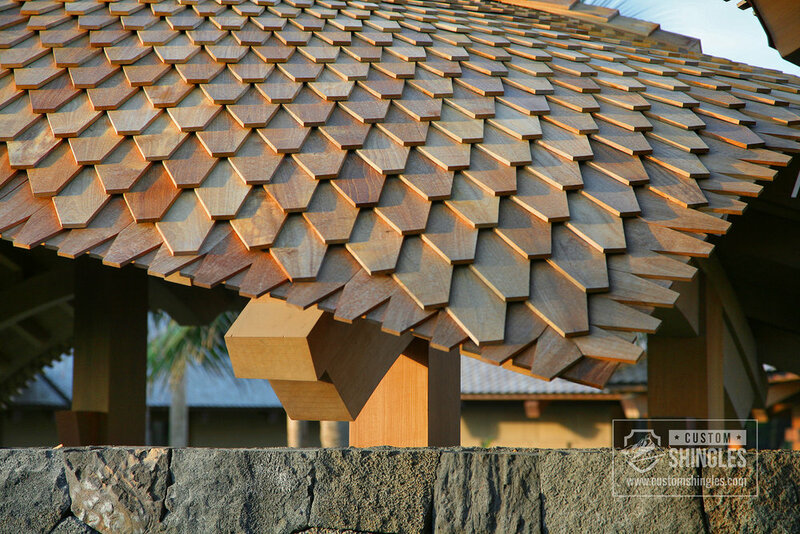 Because of the roofs' unique rounded surface, the teak shingles were bent on-site using our mobile steam-bending unit. The shingles were cut into graduated sizes, keeping the courses perfectly elliptical over all of the roofs' surfaces. The beauty and durability of teak assures this project will be a lasting masterpiece.